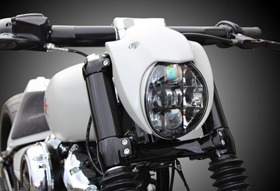 Our 280 tire / 300 tire motorcycle swingarm kits are bolt on replacements for the stock 2014-up Harley Breakout swingarms and they enable you to mount a 280 or 300 tire on your stock Twin Cam Breakout without doing any modifications to the frame. I have a 15 breakout and I’m going to do the 280/300 conversion but I need to do some homework on the rest of the parts I’ll need so as soon as I find the rest of the parts I need I’ll. E in contact with you guys. Thank you for your interest in Eurocomponents’ 280 Tire / 300 Tire Swingarms for Breakout’s. Thank you for your interest in Eurocomponents’ Wide Tire Swingarms for Breakout’s. Looking for a 300 kit for 2017 Breakout. Yours says no frame modifications necessary. Will the secondary belt be outside the frame? Do you have any pictures of a Breakout with a 300mm on it? I confirm that no frame modifications will be necessary. You will need our 20mm offset kit, which is included in the swingarm kit. The secondary belt will still run inside the frame. Rear wheel will be about 3mm / 0.12″ offset to the right. 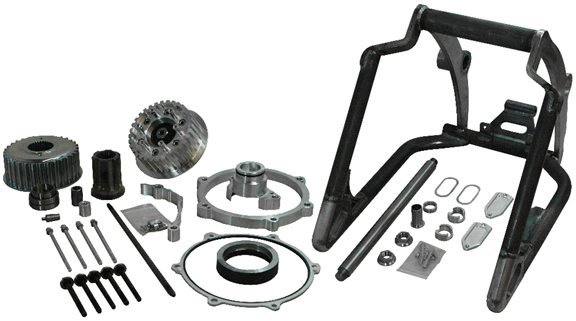 If you have a CVO model you will need also our special clutch kit (sold separately). I will send you the pictures via email. I have a 2014 stock Breakout. Please send a parts list of what additional parts are required for the 280/300 conversion kit. Also can I use my stock fender and struts? 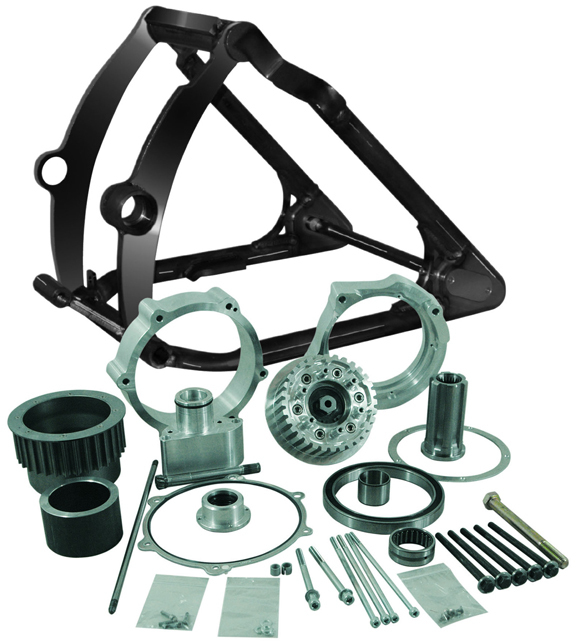 I have a 2008 Rocker C. Will the 300 breakout swingarm kit fit straight onto my Rocker or do I need a different Swingarm? Thank you for your interest in Eurocomponents’ Wide Tire Swingarms. I have a 2014 Breakout CVO. What is envolved with the hydraulic clutch. Does the swingarm kit come in chrome? We do not offer the swingarm in chrome finish, but we can supply it raw and you can have it chromed locally. I have a 2014 Breakout CVO. Will I need a clutch kit? Does this kit just offset the clutch? 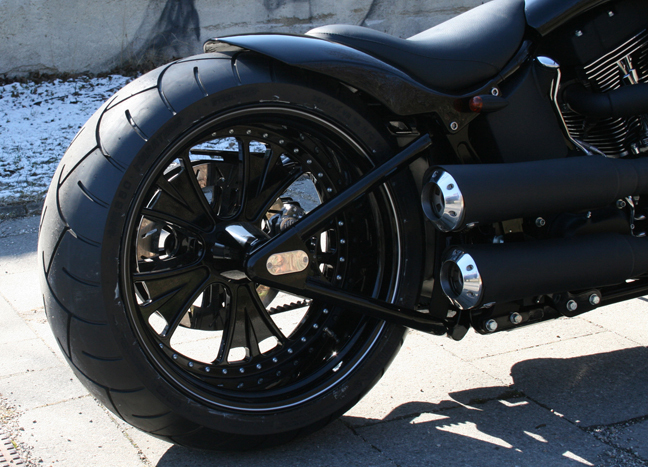 Do you have any Breakout pictures showing the 300 mm rear tire? You need a 20mm clutch Kit (which we make). The main problem is that CVO Breakout’s have an anti-hopping clutch (like all new 2017-up Softail models). 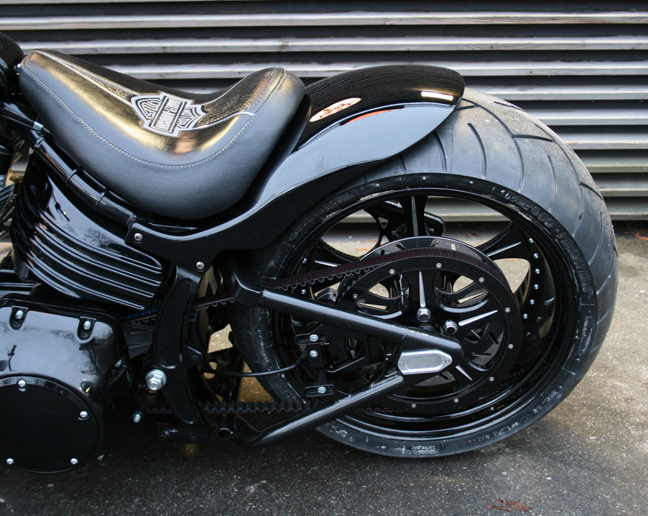 I will email you pictures of a CVO Breakout with a 300mm tire. We are currently working on a 280-300 tire conversion for the 2018 Harley Breakout. It should be ready in about 4 months. Sorry, but we do not make 300 tire fenders for Breakouts. I’m interested in this kit for my 2017 CVO breakout. I’m guessing I’ll need to start tracking parts down. 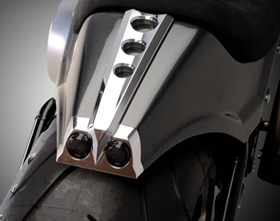 Do you know who makes the rear fender from the pictures above? That is a one-off fender we made, which we do not offer for sale. Hi. We have a 2017 Breakout that we’d like to outfit with a 300 tire, and see that you have a kit for doing so. Also see in the pictures you’ve posted that the example bike is outfitted with a different seat and fender. Where can we get those? Also is there a lowering kit / air ride system for the fender pictured? Can you also provide a kit for side mounted license plate? And, finally, do you ship to Norway? Sorry, but that fender and seat were one-off items, which we do not offer for sale. Shipping to Norway is not a problem. Hi, I was wondering if I could purchase a standard 240 rear end set up and how much. Yes, we can make this kit also for 240 tires.